(CNN) — Melbourne has finally lost the title of world's most liveable city after a seven-year reign. The Australian city came in second place on the Economist Intelligence Unit's 2018 ranking of the world's most liveable cities, missing out on the top spot by just 0.7%. It was pipped to the post by Vienna, which received an overall score of 99.1% on the annual list, which assesses stability, healthcare, culture and environment, education and infrastructure in 140 different cities. EIU attributes Austria's capital's rise to the top to increased security scores due to a return to relative stability across much of Europe after high-profile terrorist attacks in recent years. Melbourne's unseating isn't the only noticeable shift after years of very little change among the highest ranks. Japan's Osaka has jumped up to third place. Japan's Osaka and Tokyo have now moved up into the top ten, coming in third and seventh place respectively. Both cities achieved their highest ranking on the survey this year thanks to a decline in crime rates as well as improvements in public transportation. "Osaka stands out especially, having climbed six positions, to third place, over the past six months, closing the gap with Melbourne," the EIU's annual ranking report summary says. "It is now separated from the former top-ranked city by a mere 0.7 of a percentage point. 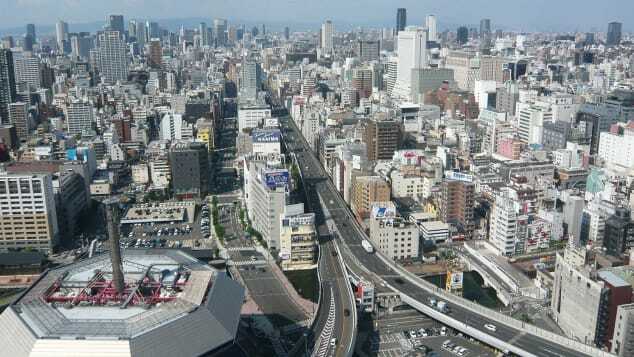 Osaka's improvements in scores for quality and availability of public transportation, as well as a consistent decline in crime rates, have contributed to higher ratings in the infrastructure and stability categories respectively." Hamburg and Helsinki, who held tenth and ninth place last year, have dropped out of the top ten. 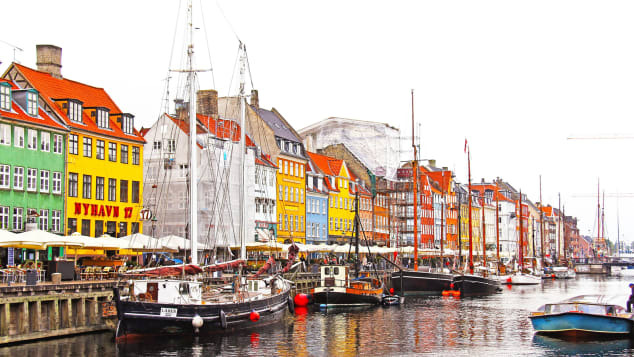 This year's ninth place spot went to Copenhagen, who achieved a score of 96.8%, making it the only other European city in the top rankings. And while Australia may have missed out on first place this time, three of its cities were among the best scoring, with Adelaide (96.6%) and Sydney (97.4%) coming behind Melbourne in 10th and fifth place. Canada performed well as well, with Toronto tying with Tokyo for seventh position on a score of 97.2% and Calgary (97.5%) and Vancouver (97.3%) taking fourth and sixth place respectively. After Vienna, Copenhagen was the only other European city in the top ten. According to the report, global business centers tend to be victims of their own success. "The 'big city buzz' that they enjoy can overstretch infrastructure and cause higher crime rates," it says. For instance, New York (57th), London (48th) and Paris (19th) are all prestigious hubs with plenty of great recreational activities, but all suffer from higher levels of crime, congestion and public transport problems than are deemed comfortable. That said, "they still sit within the highest tier of liveability, especially when contrasted with the worst-scoring locations." Meanwhile the French capital and the UK's Manchester, whose rankings have fallen in previous years due to terrorist attacks, recorded the biggest improvements of the past 12 months in overall scores and stability ratings. "Although they have been subject to high-profile terrorist attacks in recent years, which have shaken stability and led to cumbersome security measures, both cities have shown resilience in the face of adversity," the report adds. "Nevertheless, with such high scores already in place, the impact of these improvements has not been enough to significantly affect livability in any of the top-tier cities." It was also good news for Hong Kong, which saw a dramatic fall in its ranking back in 2015. The Asian city achieved a score of 91.3% this time round, moving up to 35th place. However, fellow Asian cities Kuala Lumpur, Kathmandu, Colombo and Dhaka didn't fare as well, with all four listed among the nine cities whose livability ranking has declined in the past year. Puerto Rico's San Juan, which was hit by two hurricanes in 2017, experienced the sharpest fall, dropping 21 places down the list to 89th place, with a score of 69.8%. Unsurprisingly Syria's war-torn capital Damascus continues to languish at the bottom of the list, with an overall score of 30.7%. Bangladesh's Dhaka and Nigeria's Lagos were just above at 139th and 138th place, scoring 38.0% and 38.5% respectively. On a larger scale, global livability has improved for the second year in a row, increasing from 74.8% last year to 75.7% in 2018.